Following St. Bonaventure’s loss at Davidson on Tuesday night, the A-10 Tournament picture suddenly becomes a bit more clear. While we don’t know what team will end up in what seed, we at least know what teams will be playing on what days. Book your flights! Though it might be a little too late for that. Here’s a look at where each team could end up seeded when the Atlantic 10 Tournament rolls around next week. Depending on what happens in UD Arena on Wednesday night, VCU or Dayton could be the 1 seed in Pittsburgh. 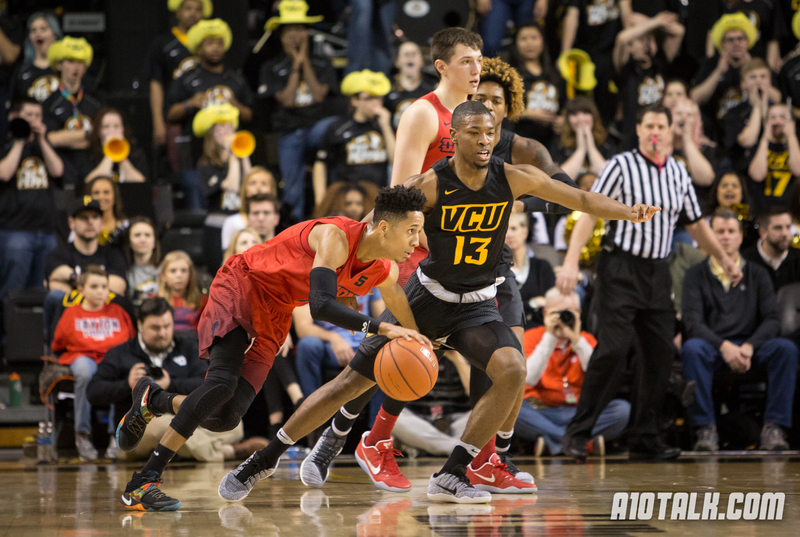 The Flyers will obviously be the favorites at home, but if VCU pulls the upset, the Rams will own the head-to-head and have the same record as Dayton. Then, the only way Dayton gets the 1 seed is if the Flyers win their final game of the season and VCU loses. If Dayton beats VCU on Wednesday night, they clinch the 1. This spot is likely going to go to VCU or Dayton, but if VCU happens to lose its final two games of the season and Rhode Island happens to win its last two games of the season, the Rams of Kingston will get the nod in the head-to-head and end up getting the 2 seed. It’s unlikely, but it still could happen. VCU’s only chance at a 3 seed in the A-10 Championship is if it loses its last two games and Rhode Island wins its last two. Again, this probably won’t happen, but it could. Richmond and Rhode Island have the same record, and Richmond owns the head-to-head, so the Spiders will get the 3 spot if they finish with a record no worse than Rhode Island’s. If Rhode Island finishes the regular season with a better conference record, it’ll get the 3 seed. If Rhode Island somehow gets the 2 spot, Richmond is automatically the 4 seed due to VCU’s head-to-head sweep over the Spiders. Whichever team finishes with a worse conference record will get the 4 seed, and if the two end the regular season with the same conference record, Rhode Island will get the 4 seed. St. Bonaventure is likely to be the 5 seed at this point, as they have 10 conference wins and could only lose this spot to George Washington. If the Bonnies win their final game at home against Massachusetts, they get the 5. If they lose, and George Washington has a miracle 2 win finish to the season, the Colonials will own the head-to-head and end up as the 5 seed. It’s extremely unlikely, but it’s not out of the picture. This is where it gets complicated. St. Bonaventure can only get the 6 spot if George Washington gets the 5. La Salle owns the head-to-head over George Washington, George Washington owns the head-to-head over George Mason, and George Mason owns the head-to-head over La Salle. And all of these teams have the same 8-8 record right now. A lot of things can happen depending on how these three teams finish the season. If a three way tie happens, I’m not even going to begin to get in the details. Read about them here. Davidson could still get the seed with a win at Rhode Island and losses from the other 8-8 teams. Check me on this, but I’m pretty sure Fordham could sneak up into the 6 slot, but it would really take a lot of moving parts. Again, it’s complicated, but St. Bonaventure can’t be a 7 seed. That’s all we really know for sure. Believe it or not, I’m pretty sure that all of these teams could still end up being the 10 seed. If someone has some crazy mathematical way to figure out this concoction in the middle, I encourage you to share it. It’s complicated. Saint Louis only needs 1 win to clinch the 11 spot. If Massachusetts wins its final two and Saint Louis loses its last two, the Minutemen will get the 11 spot. Duquesne can get the 11 spot, but only if the Dukes win their last two games of the season and Saint Louis loses its last two games. Duquesne owns the head-to-head and would get the nod in that scenario. Saint Louis can fall down to the 12 seed if Duquesne or Massachusetts manage to escape with the 12. This gets complicated, but all of these teams could still end up in the 12 spot. Saint Joseph’s would need two wins and two losses from Massachusetts. Duquesne would need at least a win over Saint Joseph’s and a record no worse than that of Massachusetts. This spot is more than likely going to the Minutemen. Saint Louis could technically get a 13 seed if Massachusetts wins its final 2 games and Duquesne wins its last 2 games as well. This would make Saint Joseph’s the 14 seed, Massachusetts would be the 11 seed, and Duquesne would be the 12 seed. Whichever team between Duquesne and Saint Joseph’s wins is likely to be in the 13 spot. Massachusetts could still end up in this spot depending on a number of outcomes. Massachusetts can only be the 14 seed if Saint Joseph’s wins its final two games of the season, Massachusetts loses its final two games of the season, and if Duquesne wins their other game. Not very likely. The 14 spot is likely going to come down to who loses the final game of the season between Duquesne and Saint Joseph’s.